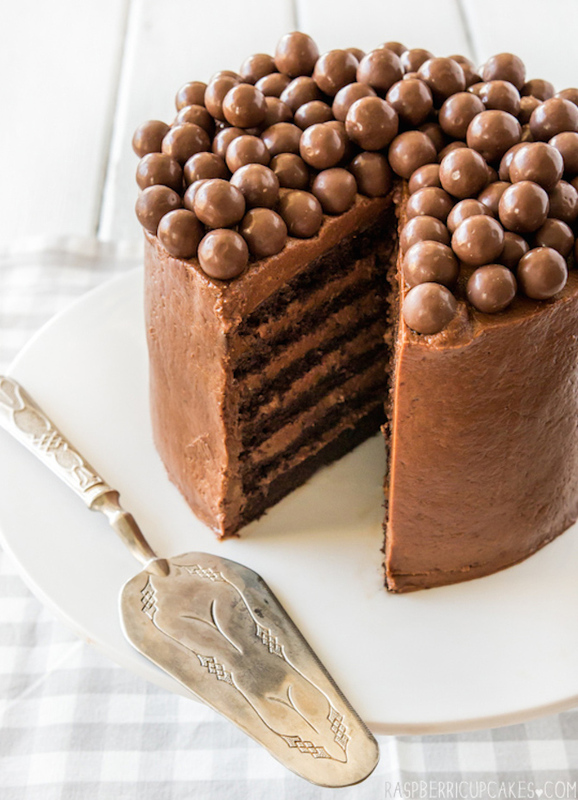 If chocolate is no longer your favourite cake flavour then you have not yet tasted one of these awesome 16 chocolate birthday cake recipes featured below. Goodbye sponge cake! Move over cheesecake! Be gone red velvet! The chocolate cake is back. She rich, she’s moist, she’s delicious. It’s time to stock up on cocoa, don your apron and get the kids ready to lick the bowl! Straight out of Willy Wonka’s factory comes this mouth watering rich chocolate birthday cake recipe. This cake is absolutely drenched in chocolate, topped with chocolate and choc full of even more chocolate! Talented chef Sue McMahon shows us in a video how to prepare this delicious chocolate ruffle cake recipe. Prepare to get your hands dirty – with yummy chocolate! If you’re anything like me and don’t own and run a cake shop, you’re likely to be the kind of person who bakes cakes in the kitchen at home. That’s obvious, right? But this cake looks perfect, so how can it be possible to make at home? 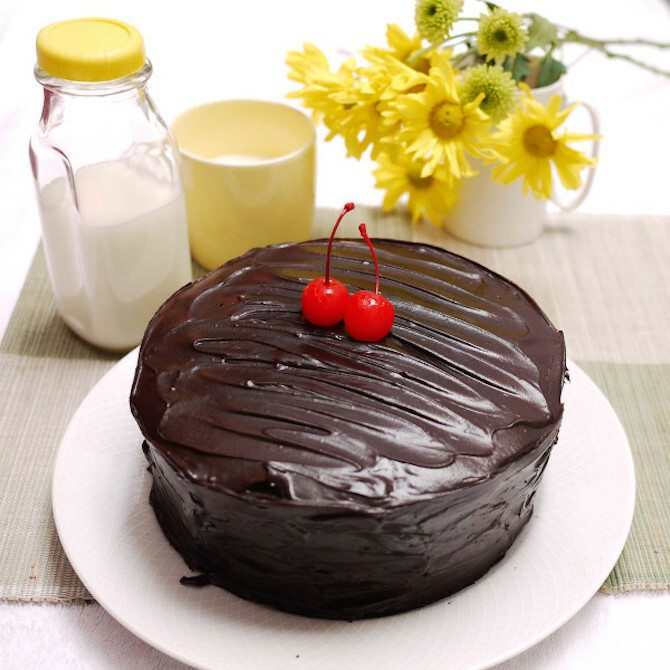 Check out the recipe for homemade chocolate cake to find out how. It’s covered in balls of different chocolate types and textures, so it’s delicious for fans of all kinds of chocolate. Why are we always made to feel like it’s a sin to enjoy chocolate? Perhaps we’ll never know. 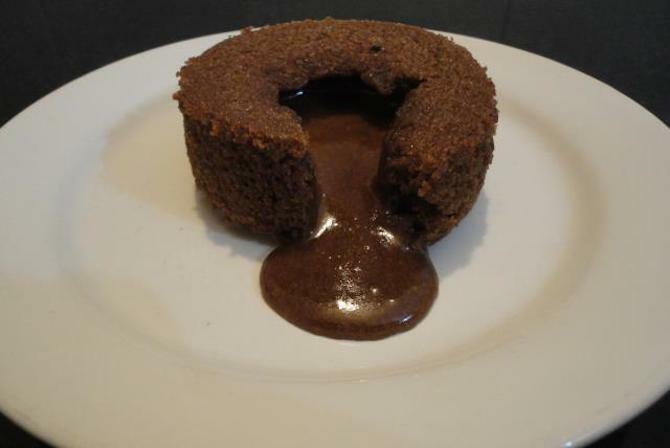 But for this occasion, the devil has teamed up with the delightful Mrs. Milman to bring you this delicious recipe for Moist Devil’s Food Cake with Mrs. Milman’s Chocolate Frosting. Here’s an easy to make birthday cake of the ooey-gooey chocolate kind. That’s the official culinary critic’s description. 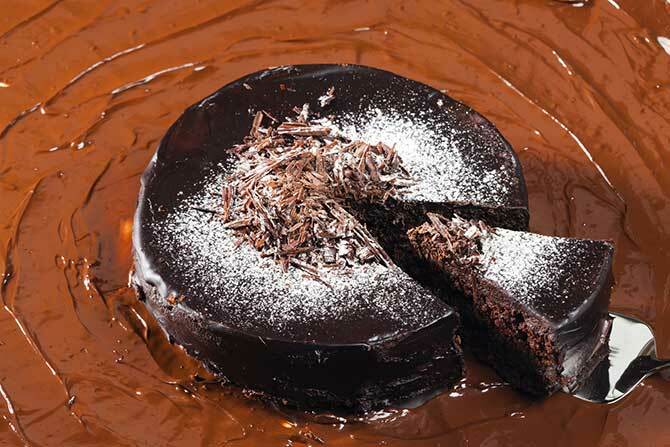 Enjoy this molton chocolate cake recipe. Can you imagine a chocolate cake with whipped cream and cherries? You can? Well, how about one with the addition of honey and lemon zest? That’s the twist in White House chef Bill Yosses’ Black Forest Cake recipe. Who says you can’t have your cake and eat it too? And by ‘it’, I’m talking about fresh fruit. This chocolate raspberry layer cake recipe shows us how to use fresh raspberries as a topping! Those marketing guys were right when they said, “It’s the Maltesers that pleases”. Here’s a cake that’s absolutely covered in them! 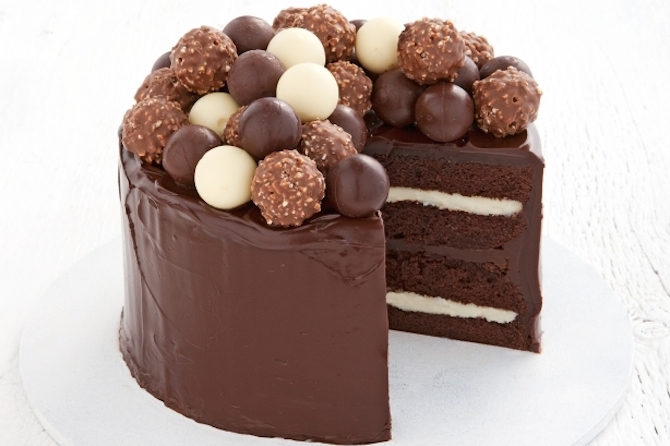 Try this chocolate mousse layer cake recipe. Most people love cheesecake with strawberries. 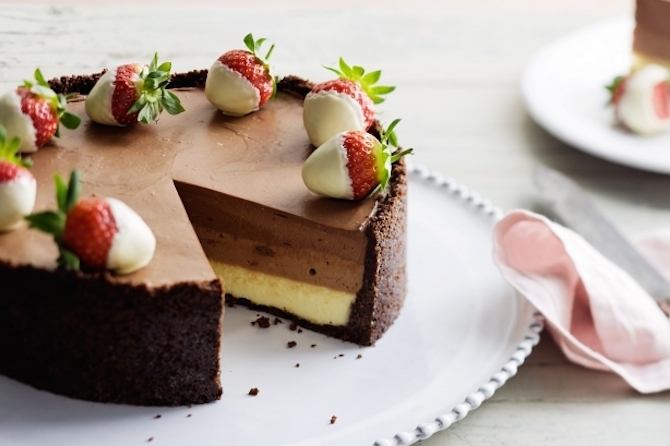 Add chocolate, and you’ve got a fantastic recipe for triple chocolate cheesecake! No, these are not mint ice cream cones that have been accidentally dropped upside down on top of this cake. Those cones are part of what makes this cake cute and unique. 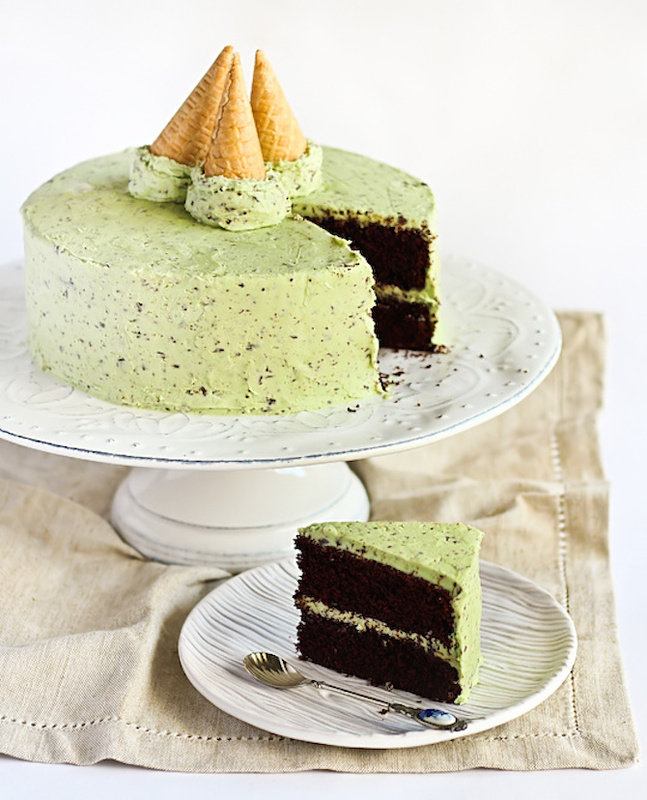 Try this recipe for mint chocolate chip cake. You won’t regret it! Caramel and chocolate are always a great combination. This easy to follow Praline Turtle Cake recipe shows you how to create this yummy treat. A rich, sugary, buttery chocolate birthday cake from Germany. This German chocolate cake recipe will prove why Germany is considered the “land of ideas” and the “land of chocolate”. 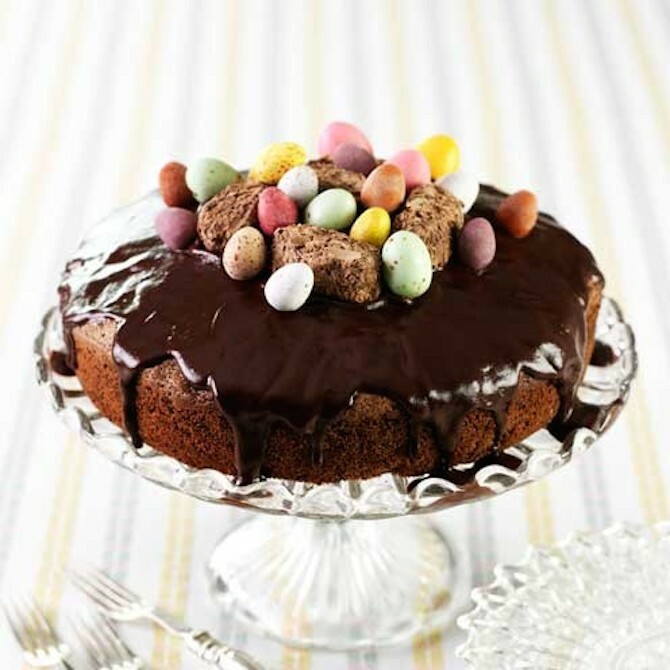 This cake even has Easter eggs on top – still wrapped in foil! 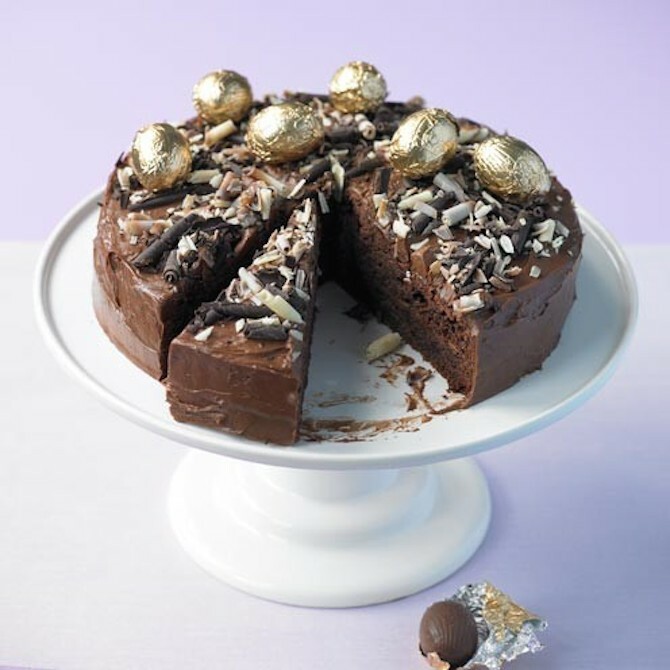 So once you prepare this Ultimate Chocolate Cake recipe, be sure to let everyone know that the silver foil on the eggs is not edible. Especially those of your guests with fillings! That said, it’s no doubt all worth the risk! You could get lost in all of this chocolate, cherries and cream. The Black Forest Gâteau recipe is another rich and tasty one worth a try. 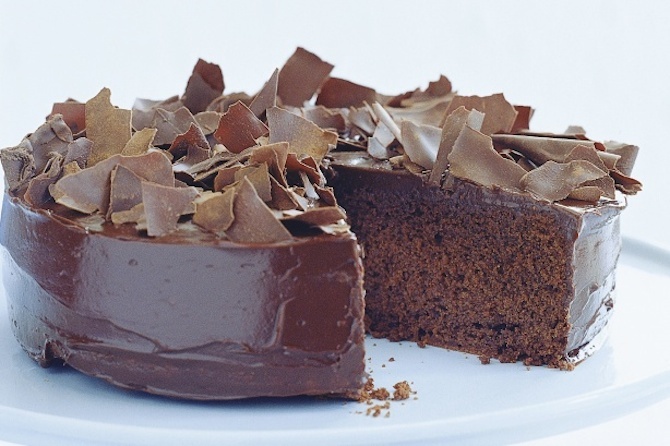 The old chocolate fudge cake recipe is always a winner at occasions for any age group and we trust that any recipe from Nigella is worth making. Now that’s my kind of cake. The name of this cake says it all. There’s thirty minutes of hands on time and forty minutes of cooking time for this recipe of the easiest chocolate cake in the world. Are your taste buds watering? Inspired to ditch the packet mix and try something sensational? Be sure to capture your incredible efforts on camera. Cake photography will add something celebratory and special to your family canvas collage. Give your canvas print the chocolate treatment!